To DIN 964, from 2mm to 10mm in die and up to 100mm in length. We specialize in 3.5mm Nickel plated series used on switches and sockets. 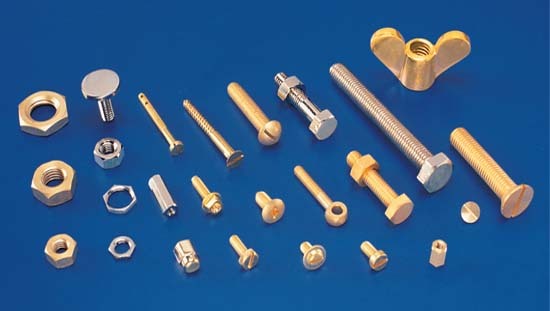 As per customer specifications Brass Nuts can be offered.